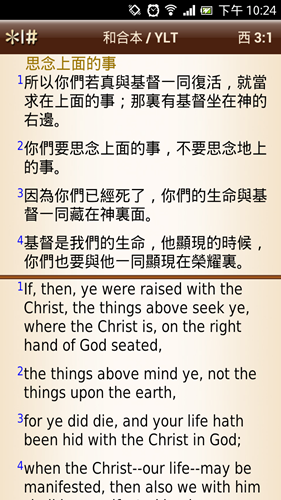 Please try 'And Bible" by Martin Denham. 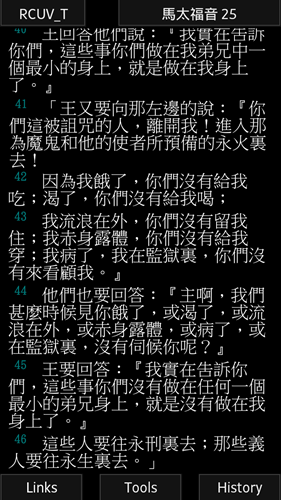 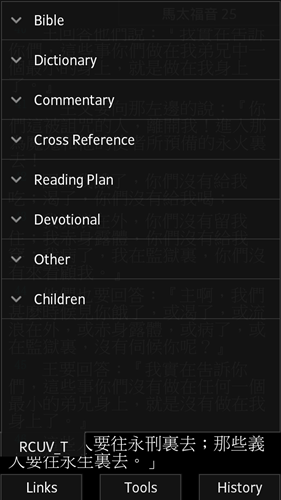 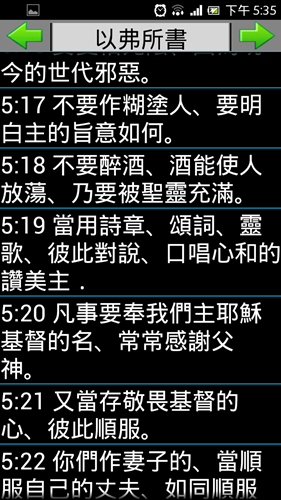 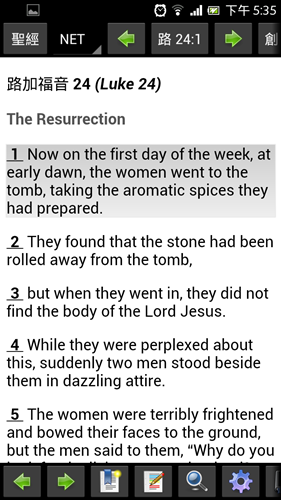 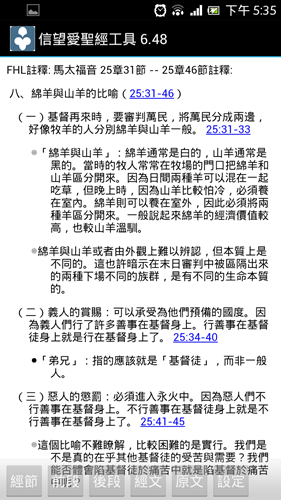 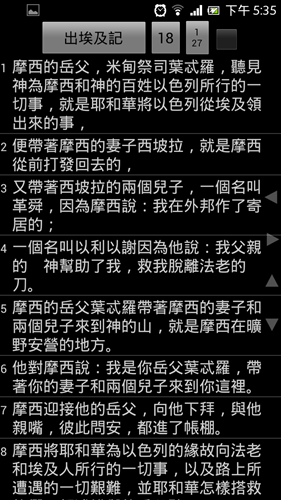 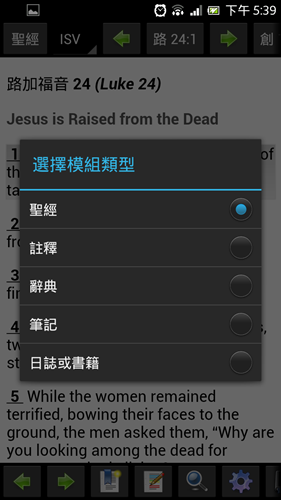 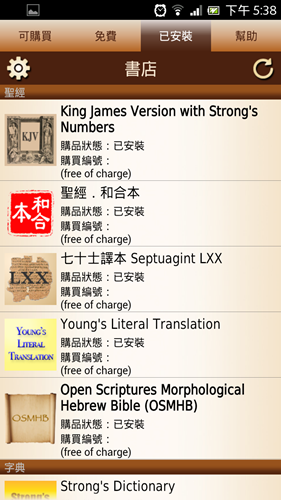 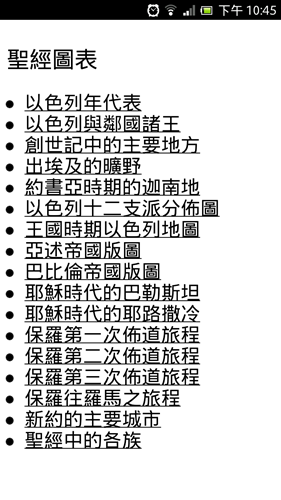 It has 和合本, 新譯本, ESV, WEB, dictionary, search, bookmark, peraonal notes and many more. 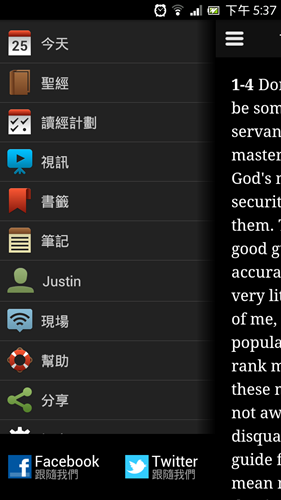 Also has night mode, split screen parallel display. 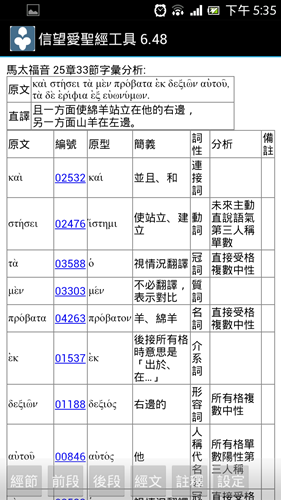 因在 crosswire.org 及 xiphos.org 下載字典、注釋、地圖等，所以內容豐富!